Aon provides customized solutions and personalized service to our Private Equity clients. Our team, comprised of lawyers and deeply experienced M&A professionals, works to translate the complex financial uncertainty of a deal to uncover opportunities, drive greater returns and help maximize deal success. As the global leader in M&A risk management and transaction liability insurance, we have helped more firms realize deal success than any other company in the industry. With our passion for developing new and creative solutions and globally coordinated teams, we can help you assess and manage deals across industries and across the globe at every stage of the deal lifecycle. 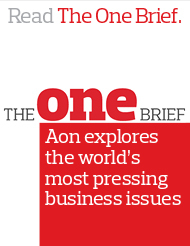 As corporations look to grow their businesses, enter new markets or restructure their organization, Aon supports their efforts with tailored solutions to meet their unique and wide-ranging needs. From advising on the use of transaction liability to stay competitive in the deal process to protecting your balance sheet from tax uncertainty to managing the scope of a potentially catastrophic lawsuit, our knowledge and experience with M&A and transactions can help you bring certainty to uncertain events and help your company realize its goals. Trust is crucial to your relationships with your clients. As former lawyers and M&A professionals, the Aon M&A and Transaction Solutions team understands this and works tirelessly to align your efforts with comprehensive solutions for each and every deal. Our first-hand knowledge of the deal cycle, deal timing and the need for flawless coordination allows us to deliver our customized solutions to help strengthen your position and further deepen your client relationships.